The above in bold are already used for movie characters. Sabrblade wrote: The above in bold are already used for movie characters. Well, what's your opinion on the rest of them? It don't matter to me. Whatever works, I guess. Though, I wonder if Hasbro or ILM has any affectionate name for this thing, like how they lovingly gave the name "Scrapmetal" to "Ze Little One". And Stampy takes the lead with two votes! Houston, we have a name. Sabrblade wrote: Houston, we have a name. So, wait, you object to them using a name that sounds fanmade, and then decide to go with a fanmade name? No offense, but isn't that a bit hypocritical? 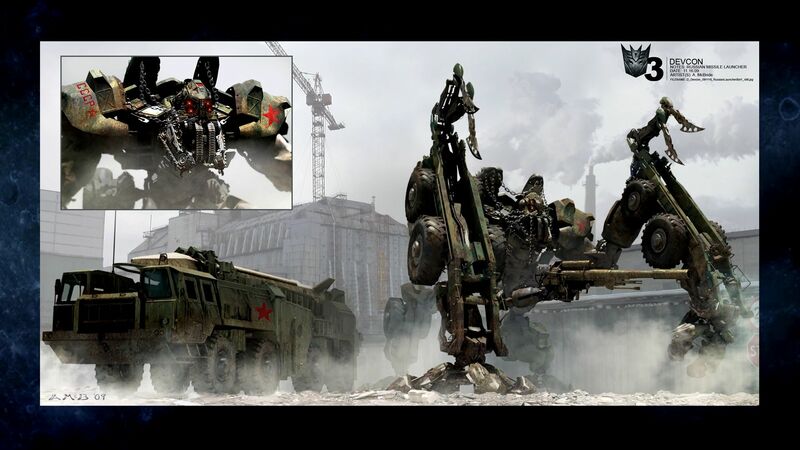 It comes from official concept art of the Decepticon. This artwork was one of many for the film that each contained an early, non-finalized name for their depicted characters. However, whereas all the main characters got finalized name, this background character did not. But, since "early working name" is better than "no name", the Wiki went with what they had to work with.